my mom, her boyfriend, and my hilarious brother. My brother's style lately is all about dressing super classy. And what's even cooler than that? because he buys each one from thrift stores. 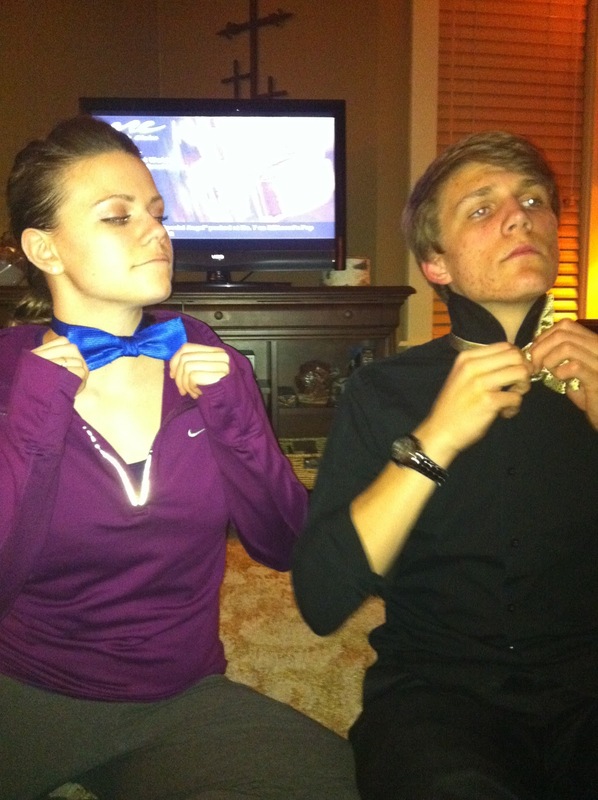 and learned how to tie a good old-fashioned bow tie. 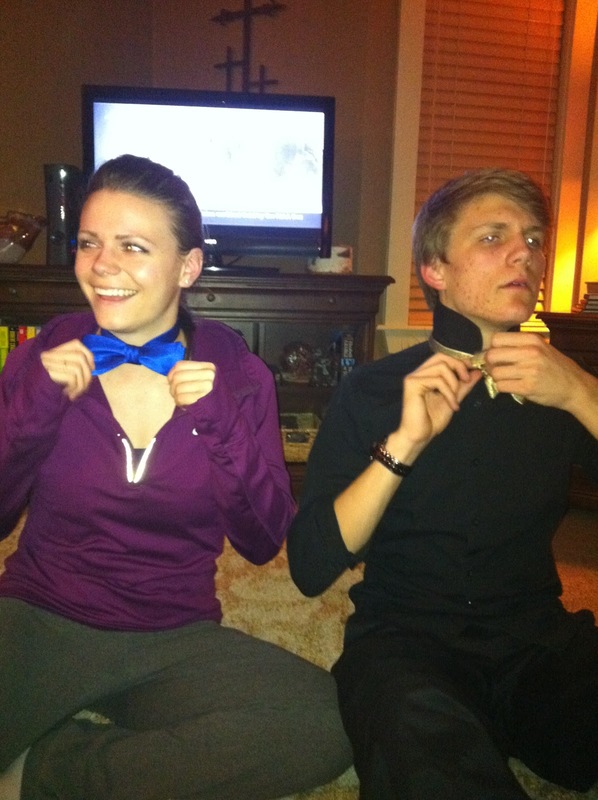 Hahah, cute :-D I have a photo of my Dad tieing bowties for my sister and me at Dillards on Black Friday last year. Soooo random. 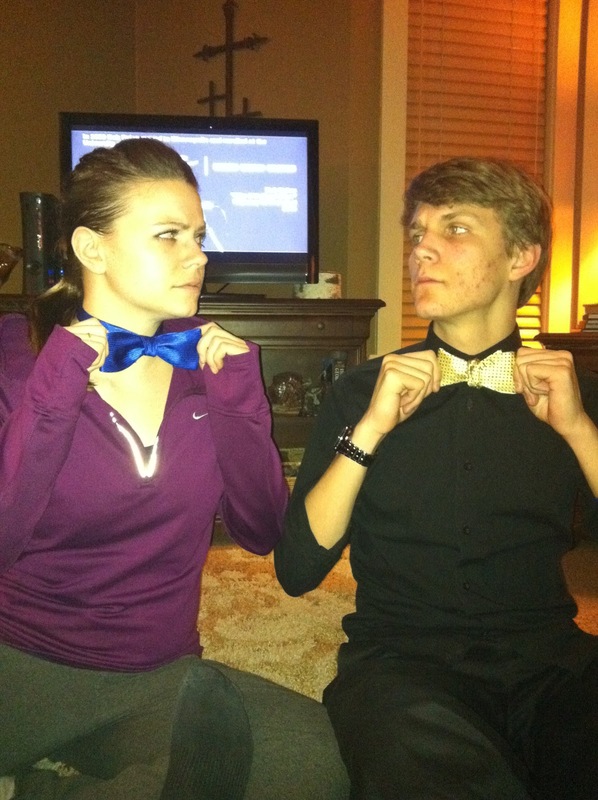 But we needed a break from the crazy shopping and they had THE CUTEST pink and polkadotted bow ties for sale. Funny :-) Have a great weekend! HA, love this! Brothers can be the best. I'm pretty sure you have the coolest little brother, ever! 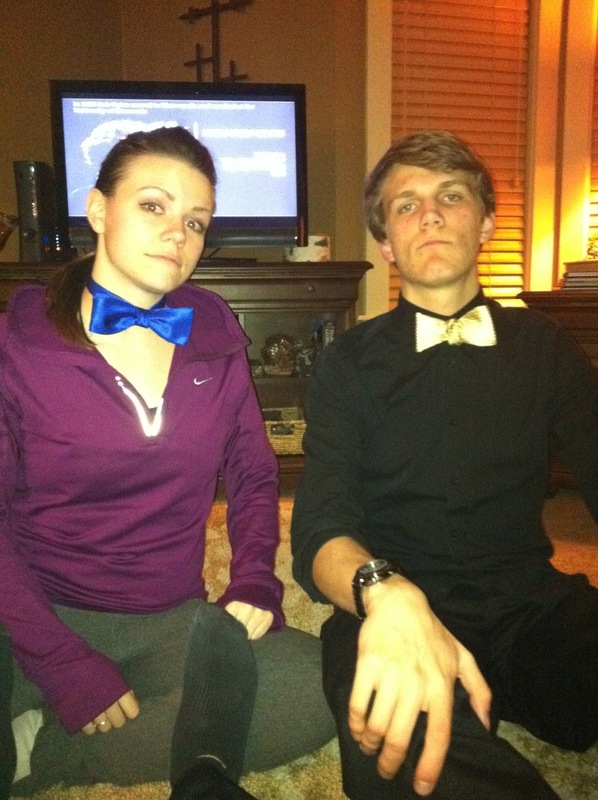 Your bow tie looks professsionally tied! Awesome! My brother has the same style, he'd always wear nice shirts with ties to school (he's 19 now) and I was always a little jealous because I barely brushed my hair! Sweet sock on the photographer lol!! I love this post, totally cute! I always wish I had a younger sibling I was close with. My brother and I are 13 years apart and my sister and I are 15 years apart, boo! What a dapper little bro you have, Aunie! And even though they're silly photos, you still look just as pretty!